Update: Samsung has just confirmed the Samsung Galaxy Note 8 will be releasing in the second half of the year 2017 in a press release after announcing its financial results. As Samsung’s latest flagship devices, the Samsung Galaxy S8 and Samsung Galaxy S8+ break records with their official launch a month ago, Samsung is already working on their next device, the Samsung Galaxy Note 8. As we all know, the predecessor of the Samsung Galaxy Note 8, the Galaxy Note 7, saw a very unfortunate demise. News headlines from all over the world reporting on cases of users of the Samsung Galaxy Note 7 batteries exploding, and even causing 3rd-degree burns, leaving some unlucky users of the Galaxy Note 7 hospitalized. Samsung in part had to kill off the production for the device and announced to everyone to return their Samsung Galaxy Note 7 back to the company, for obvious safety reasons. A year on from the disaster, Samsung looks to redeem itself and will be looking to make a comeback with its Samsung Galaxy Note 8. The company has stated that they have resolved the battery issues and are ready to release their next Note line flagship device. However, that begs the question. When will the Samsung Galaxy Note 8 Release? What will the Samsung Galaxy Note 8 specifications be like? What will the Samsung Galaxy Note 8 look like? 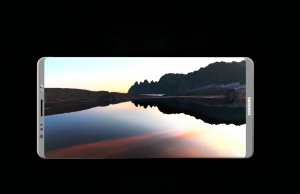 The specifications of the device are rumored to be like nothing before. Samsung always manages to outdo themselves with every single flagship launch they do. Therefore, the expectations for Samsung to deliver never-seen-before from tech enthusiasts is justified. For example, in the case of the Galaxy S8, Samsung blew everyone’s expectations out of the water. Therefore, it will be no different when the Samsung Galaxy Note 8 releases as well. 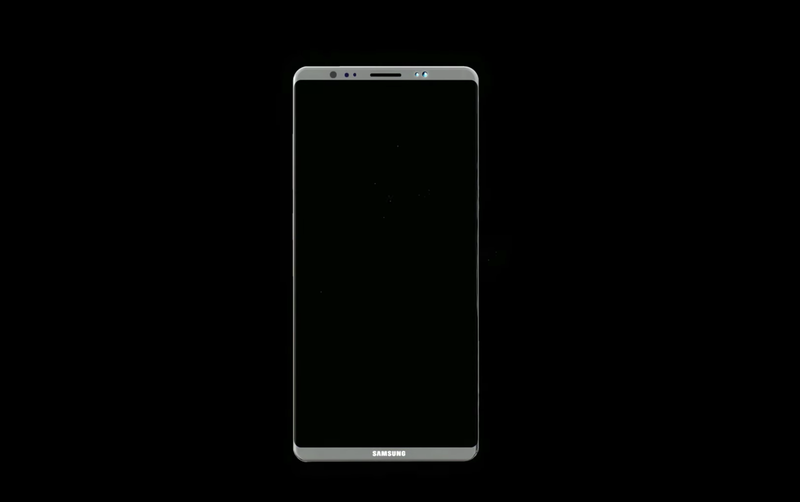 The Samsung Galaxy Note 8 is rumored to sport a massive 6.4-inch Quad HD+ display and a screen aspect ratio higher than that of the Samsung Galaxy S8’s 83%. In addition, the Samsung Galaxy Note 8 is expected to implement a 6GB RAM, 64GB or 128GB of internal storage with microSDXC support, an iris scanner (as seen on the Samsung Galaxy S8), water-resistance, companies first dual cam setup, and a non-explosive gigantic battery of 4,000 mAh. 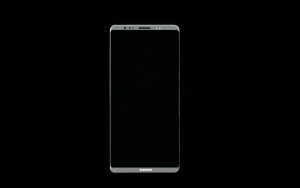 The Note 8’s design is likely to feature thin bezels, no front buttons just like on the S8 and an insanely high screen aspect ratio never seen before in the industry. In addition, a dual cam setup on the rear side of the device alongside a fingerprint scanner will prove to show what the back of the device will most likely look like. 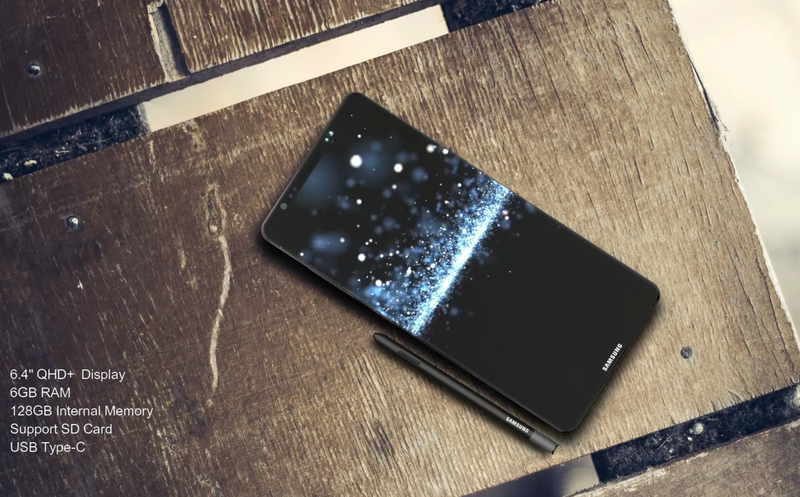 A recent video uploaded to YouTube by the user DBS DESIGNING has conceptualized a realistic look of what the Samsung Galaxy Note 8 might look like. Obviously Samsung’s official launch of the device will be different to this, however, the cues the designer has taken from the Samsung Galaxy S8 and implemented into this conceptual design is realistic, and will most likely resemble the official Samsung Galaxy Note 8 design the best.